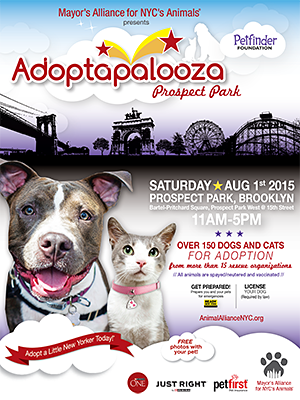 This summer, the Mayor's Alliance for NYC's Animals is proud to present Adoptapalooza in partnership with the Petfinder Foundation — this time in Brooklyn! 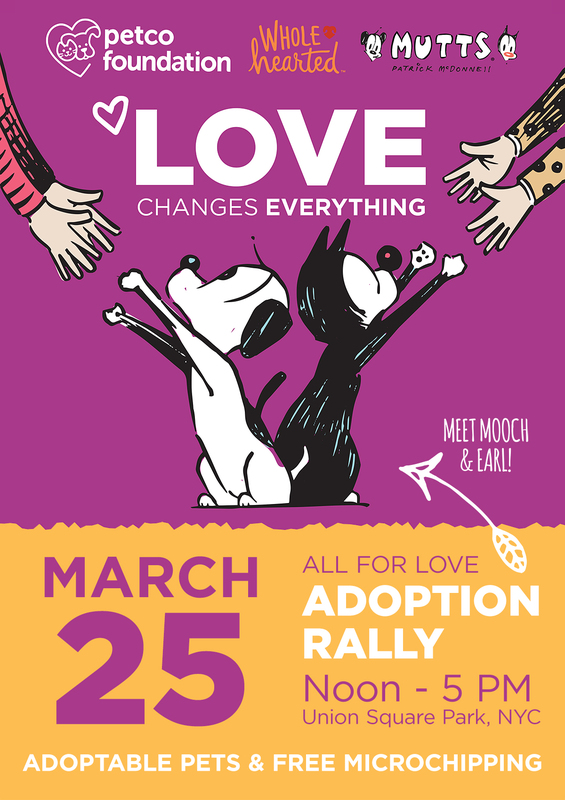 More than 150 dogs, cats, puppies, and kittens will be available for adoption from over a dozen Alliance Participating Organizations. 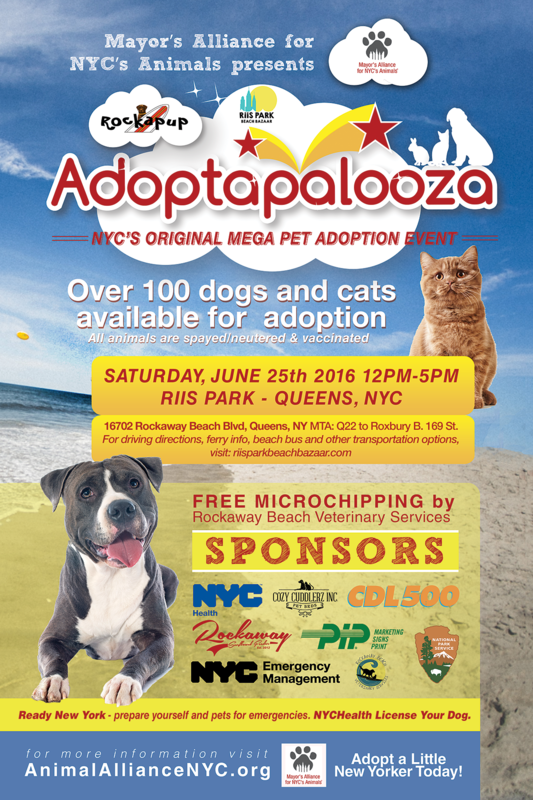 Confirmed shelters and rescue groups include Animal Care Centers of NYC, Animal Rescue Fund of the Hamptons (ARF), ASPCA, Brooklyn Bridge Animal Welfare Coalition, Empty Cages Collective, Husky House, K9Kastle, Linda's Cat Assistance, Long Island Greyhound Connection, Mayor's Alliance for NYC's Animals, Posh Pets Rescue, Rebound Hounds Res-Q, Sean Casey Animal Rescue, Waggytail Rescue, and Zani's Furry Friends. Prepare Your Pets for Emergencies! Purchase a dog license (required by law in NYC) from the NYC Department of Health. Learn how to prepare yourself and your pets for emergencies from representatives from New York City Emergency Management / Ready New York. Take Home Free Pet Stuff!